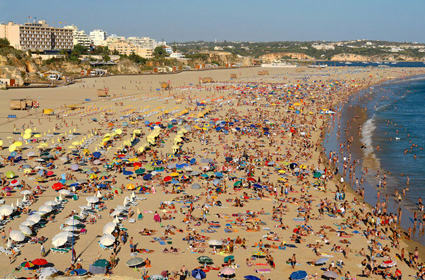 Praia da Rocha Beach is one of the tourist hotspots in Algarve, if not, the entire country. 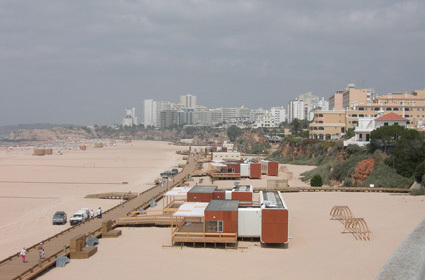 It’s a built-up area and the first developed beach resort before the 1960s. 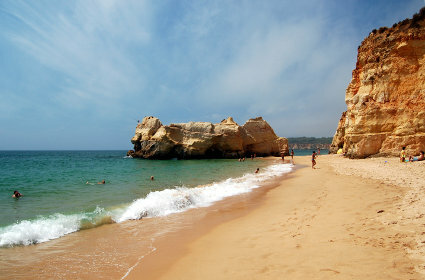 It is roughly fifty minutes away from Faro Airport and close to “Portimao”. 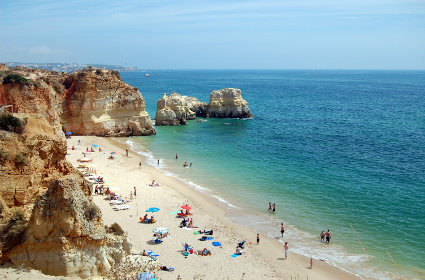 The name of the beach is translated as “Rock Beach” because of the presence of large rock formations arising from the sand. These rocks are called Two Brothers or Indented Rocks by the locals. When you don’t want to go sunbathing or hitting the waters, you can stay under these rocks for shade. Plenty of water sports are available for your enjoyment, or you may decide to enjoy the boat rides, while children often prefer to spend their time building sandcastles. 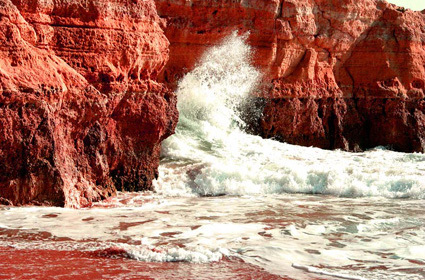 At Praia da Rocha Beach (The Rock Beach) you may also watch a beach soccer competition known as “Mundialito de Futebol de Praia”, which is frequently held here (although location is decided year by year). Several bars and restaurants are found within or near the beach and most of them offer fresh seafood dishes, thanks to the fishermen who sell their goods daily to these dining places. One of the traditional local dishes is the grilled sardines (“sardinhas na brasa”), which visitors shouldn’t miss out. Nevertheless, most restaurants also offer some variation of international cuisine, for those who want to feel closer to home. Night life is very much alive in Praia da Rocha’s Algarve area, especially with the opening of the local casino and an extensive offer of bars that are open through the day until late evening. From the beach you can head toward “Tomas Cabreira” Avenue, where many dining places can be found and there’s also an esplanade for people looking for a stroll.